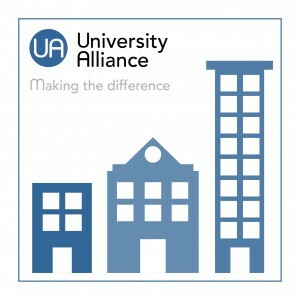 University Alliance today issues its response to the government’s Green Paper, Fulfilling Our Potential: Teaching Excellence, Social Mobility and Student Choice. Implement the Teaching Excellence Framework (TEF) in stages to allow time to evaluate how it operates in practice and make adaptions if required. The Government should also commission additional research to better understand how the TEF can best be used to help prospective students make informed decisions. Over time, impact statements could draw on testimony from employers and include reflections from graduates several years after they leave university. Monitor carefully whether Access Agreements, the TEF and Student Opportunity Funding are working together to incentivise achievement of the Prime Minister’s ambitious widening participation aims. Metrics should be contextualized and benchmarked to reflect institutions’ student profile and widening participation performance and Student Opportunity Funding should be maintained at a meaningful level. Recognise formally the importance of research-informed teaching, with explicit duties for bodies allocating the teaching grant and quality-related funding to align their policies to support scholarship-led teaching. Ensure statutory or structural protection for quality-related (QR) research funding as a separate stream within the dual support system, potentially through setting up an operationally-independent ‘Research Excellence England’ body to operate within the ‘Research UK’ family. Retain a business-facing innovation agency for the UK – recognising the full range of innovation support valued by business. “The Teaching Excellence Framework has the potential to drive greater recognition and reward for teaching excellence and continuous improvement. To get implementation right, we believe it should be rolled out gradually, with space to make adaptions where required, based on evidence. “University Alliance’s response reflects our strengths and experience, particularly in delivering innovative and entrepreneurial teaching geared towards industry and the professions. We are the only group of universities above benchmark for both recruiting and retaining students with widening participation backgrounds, and have stressed the continued importance of Student Opportunity Funding and the need for TEF measures to be properly benchmarked and contextualised.